Dr. Robert Heil is from Appleton, Wisconsin. He studied at St. Olaf College in Northfield, Minnesota before going on to study at the University of Minnesota School of Dentistry in Minneapolis. He performed his general practice residency at Hennepin County Medical Center, after which he worked at Park Dental in Burnsville, Minnesota. He then moved to Appleton in 1999, setting up private practice here. After a fire in 2009, Dr. Heil and his wife, Heather, joined forces in a single office in Freedom, WI. 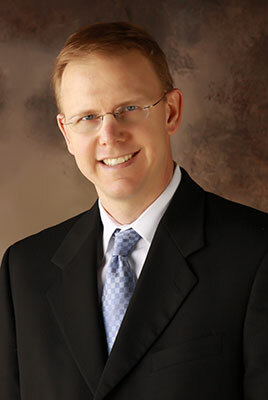 Dr. Heil is a member of the American Dental Association, Academy of General Dentistry, American Academy of Dental Sleep Medicine, Dental Organization for Conscious Sedation (DOCS), Wisconsin Dental Association, and Heart of the Valley Chamber of Commerce. He provided mission dentistry in Jamaica several times, and he's affiliated with Arise Healthcare for the treatment of snoring and obstructive sleep apnea. He enjoys learning new procedures and helping patients become healthier. He makes sure we grow in time with advances in technology, but he also believes in building relationships with all of our patients. Dr. Heil has four children, and he enjoys hunting, fishing, and following the kid's sports.